More than once someone has asked, “If I wanted to throw a party at my house and I wanted that Texas sound, what should I play?” Well if your house is in Buffalo, New York, then you can play the Goo Goo Dolls and probably half the crowd would say “Yeah, that’s Texas.” Hopefully the other half would correctly recognize the Goo Goos are a local band from Buffalo. 1. 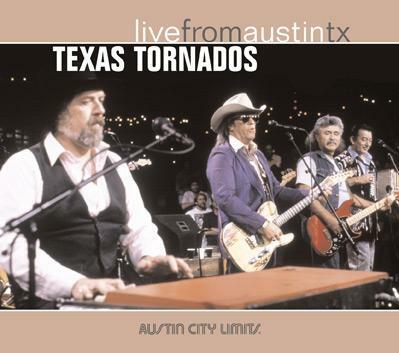 Texas Tornados Live From Austin TX – Recorded for the venerable TV show “Austin City Limits” in 1990, by the supergroup featuring Doug Sahm, Freddy Fender, Augie Meyers and Flaco Jimenez. 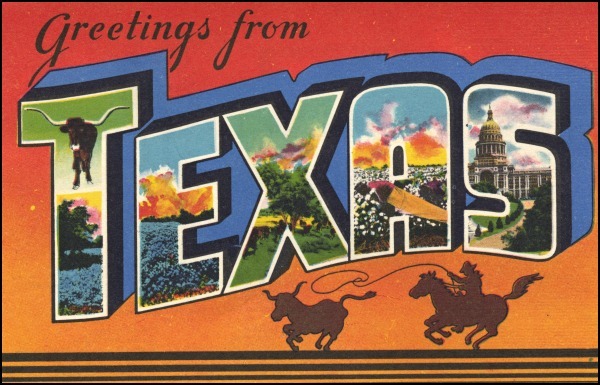 A brilliant gumbo pot of blues, country, Tejano and rock and roll with memory-tugging versions of Fender’s “Wasted Days and Wasted Nights,” the Sir Douglas Quintet’s “She’s About A Mover” and a rollicking “96 Tears,” this single CD spans the incredible breadth of Texas music. It’s worth the price of admission just to hear Fender sing “Baby What You Want Me To Do.” This CD is a party all by itself. 2. The “Chirping” Crickets – When four Lubbock boys cut this album way back in 1957, they had no idea how much this music would transform the world. Songs like “Oh Boy!,” “Not Fade Away” and “That’ll Be The Day” made their writer and singer Buddy Holly a star and the latter would become a hit. This is the birth of rock and roll as we have come to know it – written and performed by members of a rock band. In fact, the record caught the ears of four young musicians in Liverpool, and in a few more years the world would change yet again. 3. 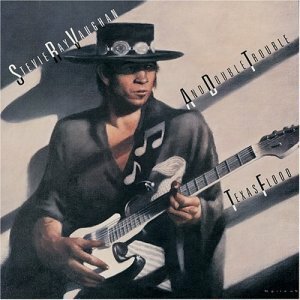 Texas Flood – Okay, we can’t get too deep into the list without name checking the late, very great Stevie Ray Vaughan. He was perhaps no more electrifying than on his 1983 debut. Texas Flood was instantly a success, and one of the most popular blues albums ever recorded, but Vaughan was more than a mere blues artist. His technique and ability on the guitar instantly put him toe-to-toe with legends like Hendrix and Clapton – and since his death in 1990 virtually nobody has even come close to Stevie Ray. 4. Honeysuckle Rose: Music From The Original Soundtrack – Yeah, it’s a soundtrack. And yeah, it has the dreaded “On The Road Again.” But it’s prime Willie Nelson, recorded in 1980 live as the movie was being made. It has the hell-raising energy of Nelson’s best Texas roadhouse shows, as he and his rockin’ band charge through classics like “Whiskey River,” “Bloody Mary Morning” and the whacked-out anthem “Pick Up The Tempo.” Guest appearances by Texas legends Hank Cochran and Kenneth Threadgill are a bonus, and I swear you won’t even notice the songs featuring better-seen-and-not-heard actresses Amy Irving and Dyan Cannon. 5. Tejas – The fifth LP from Houston-based ZZ Top, this 1977 album is perhaps the most representative sample of the trio’s blues-based rock and roll. “It’s Only Love” and “Arrested While Driving While Blind” still get FM radio play, but the real riches are deep in the grooves, with unheralded delights like “Avalon Highway” and “She’s A Heartbreaker.” If you go looking for this album, try to avoid the terrible 1990 remix and look instead for the original version – better yet, keep your fingers crossed for a reissued return to the original sound, like they’ve done recently with Tres Hombres and Fandango. 6. 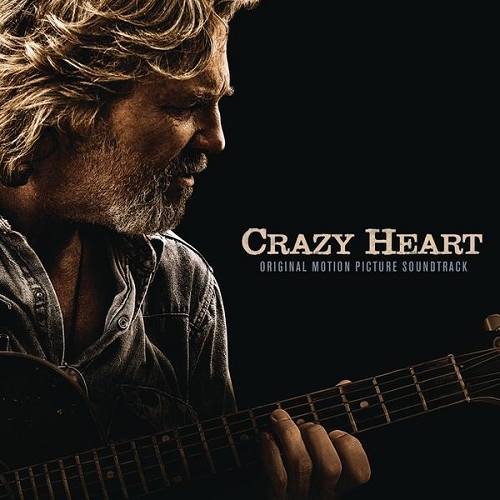 Crazy Heart: Original Motion Picture Soundtrack – And yeah, this is a soundtrack to the recent movie starring Jeff Bridges. But it’s also one of the best samplers of Texas music to come down the pike in years – even better-seen-and-not-heard movie stars Bridges and Colin Farrell doing their own singing can’t screw this up. The original songs here were penned by T-Bone Burnett along with the late, very great Stephen Bruton and they actually manage to make the movie more authentic. And of course, there’s “The Weary Kind,” which earned a well-deserved Academy Award for singer/songwriter Ryan Bingham. 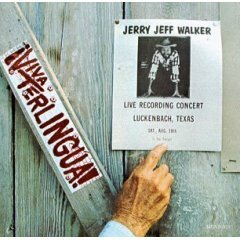 Toss in some country-rock ringers from Waylon Jennings, Townes Van Zandt, Lucinda Williams and George Jones as well as one each from blues artist Lightnin’ Hopkins and norteño legend Lydia Mendoza and you have a package that’s hard to argue with in any state of the Union. 10. The Rest of the Library – You need every one of these: Real Animal by Alejandro Escovedo (2008); Street Songs of Love by Alejandro Escovedo (2010); Copperhead Road by Steve Earle (1988); Groover’s Paradise by Doug Sahm (1974); Car Wheels On A Gravel Road by Lucinda Williams (1998); Willis Alan Ramsey (1972); Gringo Honeymoon by Robert Earl Keen (1994); Red Headed Stranger by Willie Nelson (1975); Step Inside This House by Lyle Lovett (1998); Pearl by Janis Joplin (1971); Tuff Enuff by the Fabulous Thunderbirds (1986); and The Psychedelic Sounds of the 13th Floor Elevators (1966). Now you’ve got yerself a party! This entry was posted on July 24, 2010 at 2:18 pm and is filed under Lost Classics! with tags 13th Floor Elevators, Alejandro Escovedo, Augie Meyers, Bobby "Blue" Bland, Crazy Heart, Doug Sahm, Freddy Fender, Gary P. Nunn, Jerry Jeff Walker, Joe Ely, Robert Earl Keen, Ryan Bingham, Stevie Ray Vaughan, Texas Tornados, Willie Nelson, ZZ Top. You can follow any responses to this entry through the RSS 2.0 feed. You can leave a response, or trackback from your own site. Letter to Laredo and not Live Shots? How about the Waylon Jennings Live extended edition?